I developed an interest in sound track recording at the Theatre Royal in Bristol, combining stage crewing with my studies for writing and directing plays at the Bristol Old Vic. Around this time, I purchased my first mono 'reel to reel' recorder, giving me the opportunity to experiment even more with the creative side of sound and music in my spare time. I became involved in the recording of 'art sound sculpture' with the Arnofini arts company in Bristol. I played my first concert - led by the legendary composer 'Stockhausen' - at the Barbican Centre in London; it was the final part of a very successful British tour exhibition (already running a year and a half) called "A Noise In Your Eye". The all new 4 track Portastudio recorder freed me to develop my own soundscapes, and I was subsequently taken on at Mushroom Studio's in Bristol. 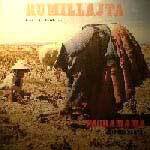 It was where I developed my craft as a sound engineer - recording the South American band Rumillajta. Engineering the albums "Pachamama" and "Oja d'coca" gave invaluable recording experience. I recorded the album "Clockwork toy" along with 2 singles the same year for the band 'Frenzy'. Although they had relatively minor succes in England, the album made them very popular in Europe. I recorded the Crazy trains, The Seers and Waterboard - all from Bristol, and did voice overs for Johnny (Animal Magic) Morris. I set up Rizound Studios the same year using my 4 track recorder, and progressed to 16 track after steadily developing courses in recording and production technique. These workshops exploded into 'support funded' courses, with a structure that gave people access to a new era of opportunity with hi-tec recording equipment. The project ran for 18 months and was a great success. During this period I purchased the now legendary Atari 1040. My first encounter with this marvelous computer music sequencer was at the London computer show - where it was first showcased. I was invited to try it out, and was joined by Yan Hammer and Yello (who were unknown at the time) for a pleasurable jam. I recorded a track for the band 'Head', used on a Melody Maker compilation freebee with Joe Strummer guesting. Voice over recordings for Tom (Doctor Who) Baker in conjunction with Hewlet Packard. 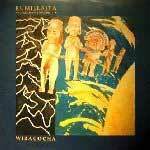 The album "Wiracocha" by Rumillajta, was ours - and probably Bristol's first ever digital stereo album, digitally produced, then cut at Abbey Roads' penthouse suite. 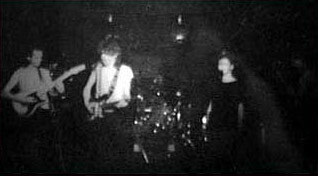 A BBC appearance followed, along with sound track use in film documentaries, giving the band a successful rebirth which spawned their own record label. 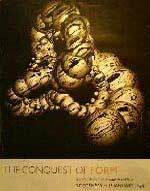 We followed up with a live Rumillajta album recorded at the 1989 Edinburgh festival. Another studio album ensued called "Urabampa" - again by Rumillajta. 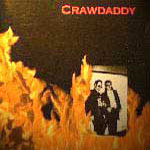 Both albums were mastered at Battery Studios, in London. I recorded for Charlie Assah Papa's "Wan chom" - 15 second links for BBC Grandstand - with Andy Sheppard on saxophone. Soundtrack recording and sample engineer, on the theatre production of McBeth by the Bristol Old Vic, using an original composition by Gary Yershon. Recorded more tracks for Andy Sheppard, used for film. 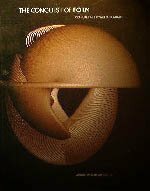 I composed the soundtrack, and received a nomination at the Monaco film festival for the acclaimed "Conquest of Form" by William Latham - sponsored by IBM computers. It was repeatedly screened on network TV throughout the world, including an airing on BBC Tomorrow's world. I worked as a sound engineer in London for the BBC, covering Radio 4 news programmes. I recorded PJ Harvey & John Parrish, for a Melody Maker freebee compilation. I recorded a piece of music titled "Jala" for the kora player 'Amadou Bansang Toumani Jobarteh' - the grandfather of Toumani Djebarti. I produced the CD "Victims of Testosterone" for Bristol band 'me' - signed to Popgod Records. During the 90's I've continued to develop live recording techniques, including; building acoustic sound environments for experimental recording rooms. I recorded and produced the apple crushing yokel band - 'The Wurzels', and recorded sessions for 'The Moonflowers' - signed to the PopGod label. Highlights included: Glastonbury jazz stage recordings for the feature film "Glastonbury the movie", and record producer and bass guitarist for experimental indie band 'Praise Space Electric' - signed to the PopGod label. I produced a 12" single for the indie band - 'CO creators', called "Grand Central Station Experience" - on the ChillOut label; catalogue no. CHILLX 1 2004. 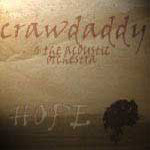 I produced a six track EP/LP/CD for the blues/folk trio 'Crawdaddy' who are; Chris Scott, Steve Payne - ex Parole Bros, and Paul Hugget - previously a session drummer for David Bowie. 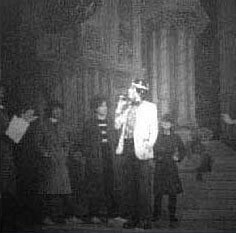 I appeared with the EeZee band on a Tele-West live broadcast, which was later repeated twice. At Glastonbury pop festival I played guitar for 'Tricky' on the jazz stage. I was backed on guitar by David (Talkin Heads) Byrne, while singing vocals on the jazz stage at the Glastonbury pop festival - an honoured treat. Charlie Assah Papa's "Wan chom" music had achieveed 50 Broadcasts - following selective use throughout the 90's. 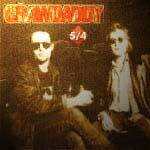 The original recording, was engineered by me in 1987. 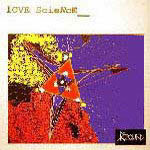 Steve Risley and The EeZee band change their name to Pelican Starsurf, and release the self written/arranged/ engineered and produced CD album "Love Science". 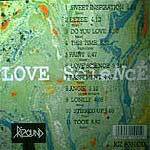 I re-establish Rizound studios along with Rizound music production service. I am presently concentrating on this new project, and continue to play gigs as often as possible. 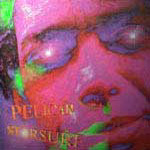 I am also writing new material for my forthcoming CD album.